On Tuesday night, Canadian-born Kiwi Eleanor Catton became the youngest author ever to win the Man Booker Prize. 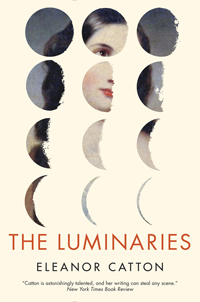 She won for The Luminaries, which, at 830-odd pages, is also the longest book ever to have won, and will forever be the last book to have won before the prize changed its entry rules to include writers beyond the Commonwealth and Ireland. But should you read it? I did – more quickly than I’d suggest you do. Here’s my conversation with Brent Bambury on CBC Day 6.